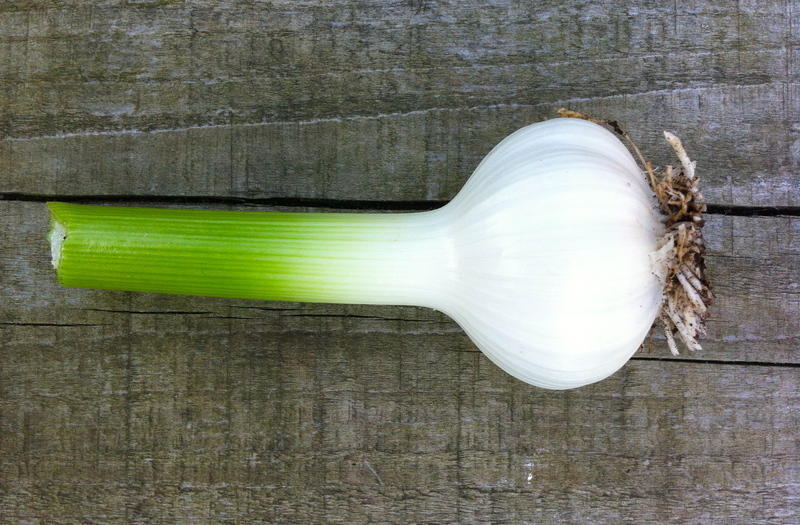 If you’re lucky enough to have a crop of new season garlic then this may be something to consider. Admittedly it doesn’t use a lot of it but I do think this is the time, whilst the flavour is at its mildest. With plenty of basil from the herb garden adding notes of freshly mown grass it combines to make a taste of Summer. 25 gm Fresh basil leaves – one cereal bowlful if there’s no scales handy when picking. 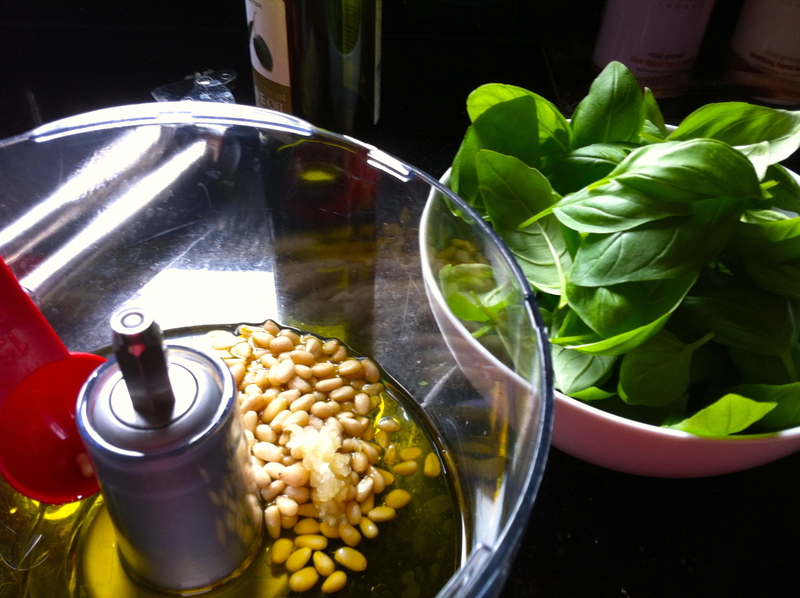 Put the olive oil, garlic, pine nuts and cheese in a food processor and blitz. Add the basil leaves and pulse until you have a coarse paste. So how to use, well of course it’s a classic stirred into freshly cooked pasta but also makes a delicious sauce for lamb or baked salmon. A dressing for tomato and mozzarella salad or a dollop in a minestrone soup and the most heavenly comfort food when spooned lavishly onto a bowl of creamy mashed potatoes.